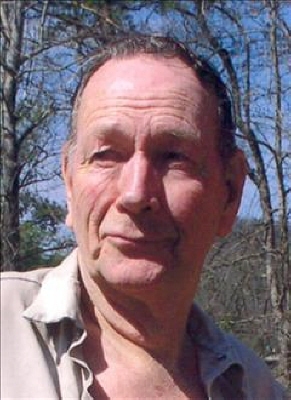 William Harrison Jones Jr., age 84 of Jasper passed away Monday, February 4, 2019 at Piedmont Mountainside Hospital. He was preceded in death by his father, William Harrison Jones Sr.; his mother, Addie Lou Godfrey Jones; and his wife, Mary Louise Caylor Jones. Survivors include his stepdaughter, Pat Boutwell of Jasper; stepson, Charles Ray of Jasper; sister, Peggy Petty of Jasper; sister, Cordia Byers of Jasper; step-granddaughter, Becky Lee; step-grandsons, Dalton Boutwell, Stephen Ray, Tommy Ray Jr., Matthew Dunn; great-grandchildren, Steel Ray, Dominique Ray, Charles Lee Ray, Maddox Ray, Tucker Ray. Funeral Services will be held 2:00 p.m., Thursday, February 7, 2019 at the Chapel of Roper Funeral Home with Reverend Johnny Hollingshead and Reverend Harold Hightower officiating. Interment will follow at Sunrise Memorial Gardens. The family will be receiving friends at Roper Funeral Home, Wednesday, February 6, 2019 from 1:00 p.m. until 9:00 p.m. and Thursday, February 7, 2019 from 9:00 a.m. until 2:00 p.m.
To send flowers or a remembrance gift to the family of William Harrison Jones, please visit our Tribute Store. "Email Address" would like to share the life celebration of William Harrison Jones. Click on the "link" to go to share a favorite memory or leave a condolence message for the family.